Empower B2B sales teams with an inbound strategy and give them the tools they need to turn more of your qualified leads into happy customers. The inbound experience doesn't end with your marketing team. In today's age of buying, the sales experience must also be remarkable to grow your business. Give your sales team the power to interpret each prospect's digital body language for more informed and meaningful conversations. One of the keys to building trust with your prospects is to prove what you're saying is true. Don't be that stereotypical salesperson who says anything to close the deal. 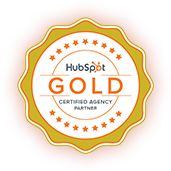 We will help you educate, empower and ultimately build trust with your leads, resulting in more wins. An effective sales pitch can guide your conversation and build trust with your prospect, helping to advance the sale. By leveraging the right content, with the right leads, at the right time, your team can maximize their impact and take your leads from awareness to evaluation to purchase.